One of America’s most experienced and treasured Lyme disease specialists, Dr. Richard Horowitz, author of the New York Times best-selling book “Why Can’t I Get Better”, joins me on Lyme Light Radio this Wednesday, 1/29, 1pm PT/4pm ET. This is a very special opportunity to learn from a cutting edge physician, about recovery methods for America’s fastest spreading infectious illness, Lyme disease. Having treated over 12,000 patients Dr. Horowitz brings a wealth of information and human insight to us. It is my privilege to host a remarkable, caring man with a remarkable career trajectory. 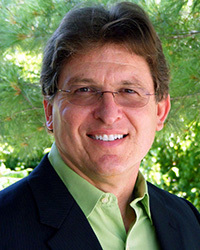 Richard I. Horowitz, M.D., is a Board Certified Internist and Director of the Hudson Valley Healing Arts Center, in Hyde Park, New York, USA. 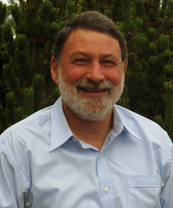 He is a founding member of ILADS, and is President of the International Lyme and Associated Disease Educational Foundation (ILADEF), an organization dedicated to the education of health professionals in the diagnosis and treatment of tick-borne disorders. Dr. Horowitz has treated over 12,000 chronic Lyme disease patients in the last 20 years, and has researched and published on the role of co-infections in patients with persistent symptoms. He was awarded the Humanitarian of the Year award by the Turn the Corner Foundation in 2007, for his ongoing work with chronic Lyme disease. Dr. Horowitz is known for his pioneering work with Lyme disease and is recognized to be one of the country’s foremost experts on chronic illness. Please spread the word about this prime interview and join us on January 29th. Every minute will be important! Ticks, the primary vector which transmit the bacterial infection of Lyme disease, are like miniature cesspools. They carry numerous other microbes, contributing symptoms akin to Lyme but slightly nuanced. These “co-infections” are difficult to diagnose via blood testing, and are maiming hundreds of thousands of people annually. Joining us on Lyme Light Radio, Wednesday January 22, 1pm PT/4pm ET is Dr. Neil Nathan, the author of the wonderful nook, “On Hope and Healing: For Those Who Have Fallen Through the Medical Cracks”. Practicing at the renowned Lyme savvy Integrative medicine facility, Gordon Medical, in Santa Rosa, CA, Dr. Nathan brings us his expertise, keen intelligence and knowledge of how mold issues contribute to the Lyme disease equation, as well. At the welcome invitation of his longstanding friend and colleague, Eric Gordon, MD, he joined Gordon Medical Associates in April 2009. This allowed him to become a part of this medical community, along with the bonus of being closer to his three children and his wife’s family, all of whom reside on the West Coast. 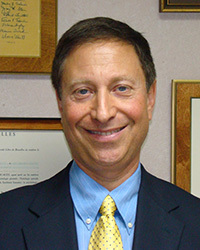 Dr. Nathan opened the Fort Bragg branch of GMA in August, 2009. 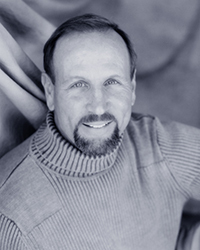 Neil is a gifted physician who is passionate about healing. Since he loves to learn, he considers himself “always a student”, and gets fired up about learning new approaches that might work for his patients. Never satisfied to just learn superficially, when something grabs Neil’s attention, he will research and study with the person who really KNOWS how to do it, so he can maximize its clinical benefits. Neil’s specialties fit right in with Gordon Medical Associates – Lyme Disease, thyroid disease, chronic illness, chronic pain, autism, and the use of functional medicine and alternative medicine whenever possible. Dr. Nathan has extensive experience with Fibromyalgia and Chronic Fatigue, and uses the bio-medical approaches created by his good friend, Dr. Jacob Teitelbaum. For Lyme Disease, Neil works with botanicals, herbs and homeopathy, as well as antibiotics when necessary. He also has expertise in working with chronic pain clinics in Minnesota and Missouri, and really appreciates the opportunity to help relieve pain for those who are suffering. Regardless of the illness or condition, he spends time learning and getting to know each patient to determine how gently or aggressively to treat, and in what manner. In addition to his background as a family practice physician, Dr. Nathan is also trained in a number of adjuvant modalities, including classical homeopathy, osteopathic manipulation including craniosacral therapy, prolotherapy, hypnosis and Reichian therapy. Dr. Nathan is passionate about seeking healing for those who come to him in need. Having personally heard Dr. Nathan present at the International Lyme and Associated Disease conferences, I am truly honored to welcome this remarkable physician and educator to my show. He is a gifted healer with an enormous wealth of insight into the “Lyme equation”. Please make sure to tune in, out interview witll be archived at TheDrPatShow.com and on iTunes, too! Thank you listeners and Dr. Nathan. Every New Year’s our quaint hamlet hosts an extraordinary event; we walk a Labyrinth, the same formation as the sacred one at Chartres Cathedral in France. The one that priests and mystics, common folk and royalty have moved through with intention, in prayer or trance for centuries. We are blessed to have devoted community members ‘tape’ the entire geometric pattern out in exact mathematical proportions faithfully and with precision in our town, December 31 until 5:00pm January 1. Many of us volunteer as ‘guardians’, taking one hour shifts, overseeing the safe-keeping, offering guidance, keeping candles lit, holding a space of reverence, while people of the community move into a New Year with Intention. It is very touching. In stockinged feet, the snows banking the sturdy brick hall, the old floorboards creak under the thousands of paces taken, as youngsters scamper and the elderly shuffle though the lovely labyrinth. Our old ‘hippie stock’, the local business folks, ministers, dancers, college kids home for the holidays and out of town family mingle, passing in strides, sitting cross-legged in the clover leaf styled center for contemplation. I love that our town holds this tradition, that we honor an ancient spiritual practice, that we blend and move in silence for 24 hours. Sometimes a pianist or fiddler brings us live accompaniment, often we play chant music in backdrop. I am one of the guardians. It is always a privilege to be part of the graceful syncopations and transcendent energy being created on the dawn of a New Year. This year’s Labyrinth was as beautiful as always, winter’s low cast light streaming in amber rays through the windows, participants bowed heads, conveying thoughtfulness, openness to divinity and of course, many in prayer. Whenever I bring an outsider to our annual Labyrinth, they leave in awe – the chaotic outside world evaporates, beauty and symmetry are so potent, peace and simplicity overarching tones. There is grace. Spirit is summoned in a common Town Hall. Many gestures of communion, friendship, love always ensue for me each year – a Labyrinth breeds harmonious undertones. Inside the sacred space we do not talk, but out in the foyer whispered conversations burble. This year a woman rushed up to me, earnest eyes, hands outstretched, blonde hair capped in woven wool. “Katina, it is because of you that my life is restored. You saved me!” I did not recognize her. Yet, her smile, our hand-holding was so real. “I went to your Lyme talk a year and a half ago at the Grange and you educated us about the faulty Western Blot Test readings by the average GP’s. I remembered that. This sumer I was deathly ill and my doctor said that ‘one band’ positive on the Lyme disease test did not confirm Lyme. He said I didn’t have the illness. I kept getting sicker”. I felt deeply touched there in the New England white clapboard, mahogany railed foyer. Though others acknowledge my mission often, something in that moment of critical honesty made me realize the thousands of miles I have travelled in 2 years, the hundreds of thousands of words I have written on this subject, the endless hours of conversation and healing sessions I have ministered are not in vain. I had entered my “walk of intention” into the Labyrinth maze on New Year’s day, with a focus to bring “Out of the Woods”, and my new book “Mending” and my Inspirational speaking into International circulation, with the purpose of uniting the powers of Spirit and doctoring, in harmony. My Intention is to help the weary reclaim their inner healing skills, tools I know how to teach. I want health, comfort, support for us all. This moment of meeting in parting from our sacred Labyrinth reminded me to keep ‘walking the maze’ of life. Like the priests and nuns and seekers of yore, a heart open to guidance and a mind available to creativity, will stay attuned and in turn the purposeful progress of moving with intention will manifest my path, each of our unique paths, in fact. May we all be able to embrace our purpose, our heart’s desire, to be open to destiny and meet with the God force moving through and around each of us; to bring healing and hope, peace and love to all we encounter. 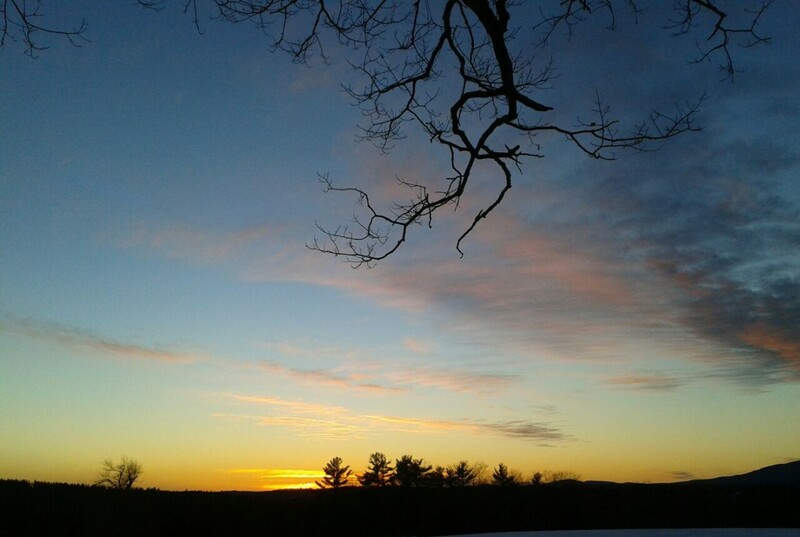 2014 dawns with a clarity for me within, yet a chock-full life of demands from the outside. May I maintain my balance point, may my muse remain fed, may my loved ones be blessed and may the higher calling I am moved by, as brilliantly vivid as the guiding North star, hold me fast. Thank you for your kinship – readers, friends, the sick, the lonely, the seekers and healers. Our lives are not by accident. This earth time is precious and ever evolving. I walk it with you, at pace, to a beautiful, healthier tomorrow. Cheers for a wondrous 2014.